I love, love, love my new seafood CSA, Siren SeaSA! 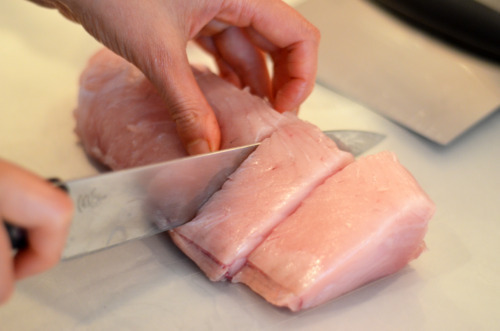 The pristine albacore in my weekly delivery was so fresh that I needed only a simple marinade, BACON, and high heat to get it ready to stuff in our mouths. 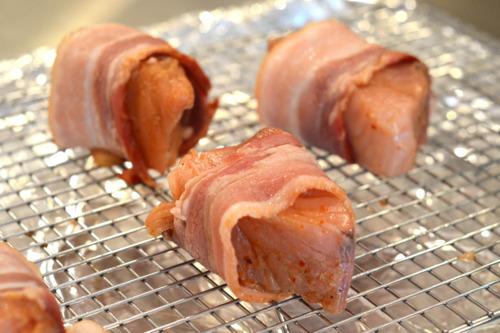 I got the idea for wrapping my tuna in bacon from the Siren SeaSA site (a new recipe is posted every Thursday in anticipation of the catch of the week). 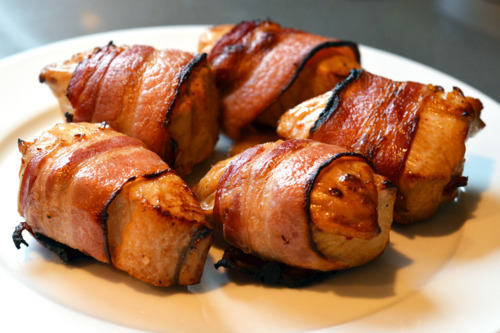 I modified the recipe with a technique for par-cooking the bacon in the microwave (those folks at Cook’s Illustrated are so smart) and I also whipped up a Paleo-friendly marinade. I preheated the broiler on high and made sure the top rack was 6 inches from the heating element. …and placed them in a large bowl. 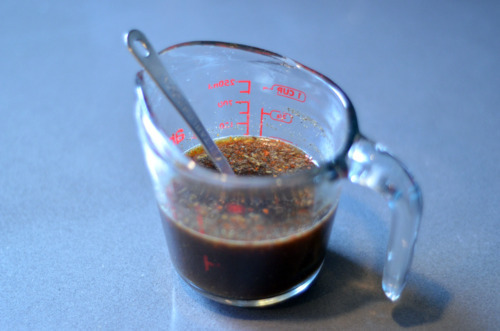 I whipped up the marinade by combining the orange juice, coconut aminos, vinegar, fish sauce, black pepper, and Aleppo pepper in a measuring cup. 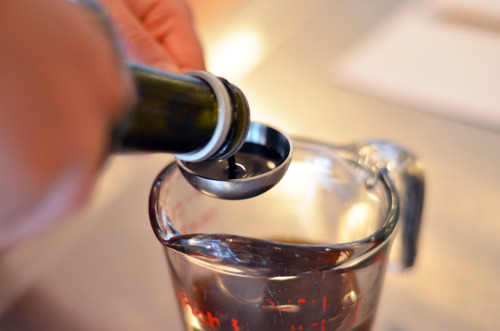 …over the albacore medallions and let them marinate for 15 minutes. …and covered them with two more sheets. 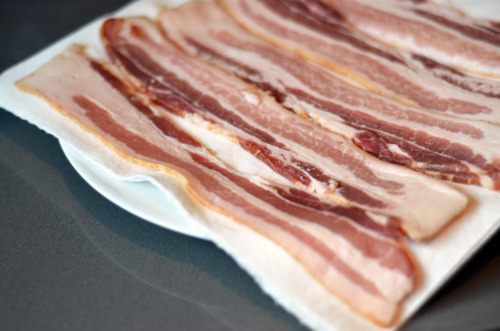 I microwaved the bacon on high for 1-2 minutes so it was cooked halfway but still pliable. After the tuna was finished marinating, I wrapped each piece in a slice of bacon (with the ends tucked under the fish) and placed them on a rack which was on top of a foil-lined baking tray. 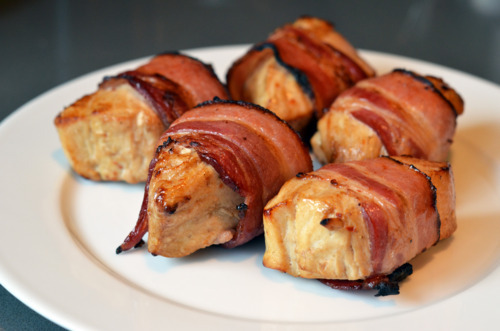 I broiled the bacon-wrapped tuna for about 4 minutes on one side and flipped them over and cooked them for an additional 2 minutes (or until bacon is crispy). 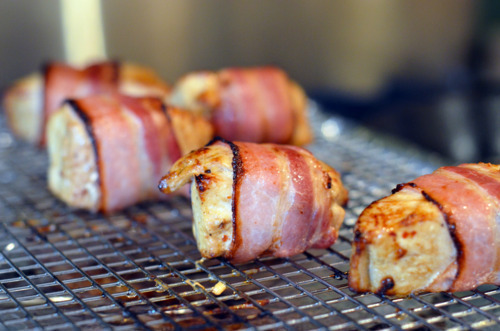 Here’s a quick video showing how I made these bacon-wrapped bites. And if you don’t recognize the background music, you’re clearly not as nerdy and decrepit as me.